Material and Finish: "Raven Black” powder-coated steel posts with wood top rail. 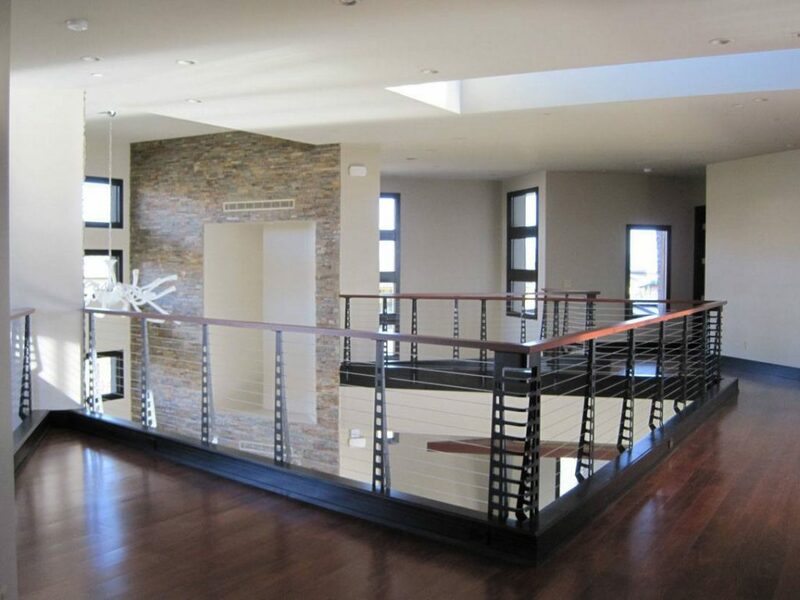 Situated in the Red Rocks area near Las Vegas, Nevada, this multi-story home has an open feel and receives an abundance of natural light. 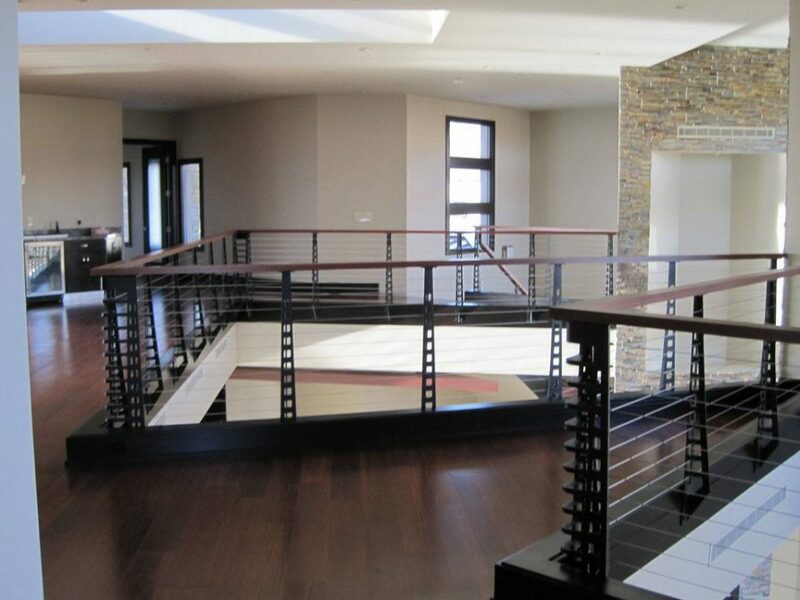 When you walk in the foyer, the first thing you notice is a stunning indoor/outdoor pool. 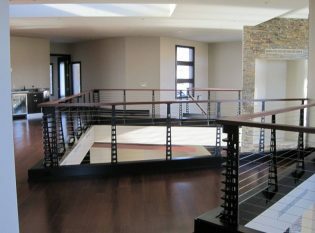 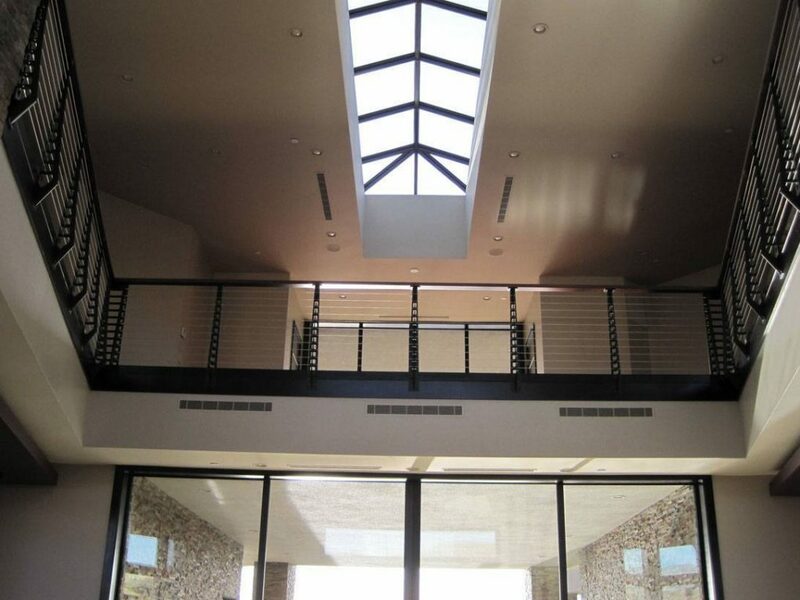 The homeowner wanted a railing system that would give the foyer, staircase, and upper-level balcony a simple and contemporary look. 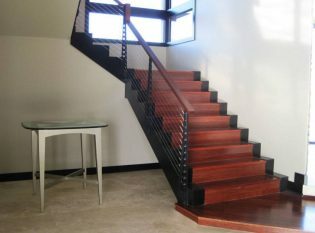 He found Keuka Studios online while searching for a “modern” stair railing. 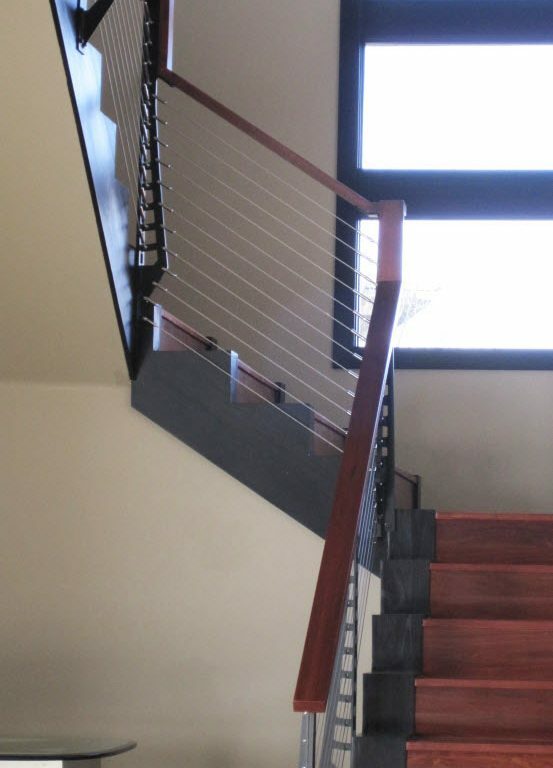 The client saw our Chicago Style railing and knew it would fit perfectly with his home’s design; the cutouts on the Chicago Style posts matched the existing corner windows in the stairwell and throughout the home. 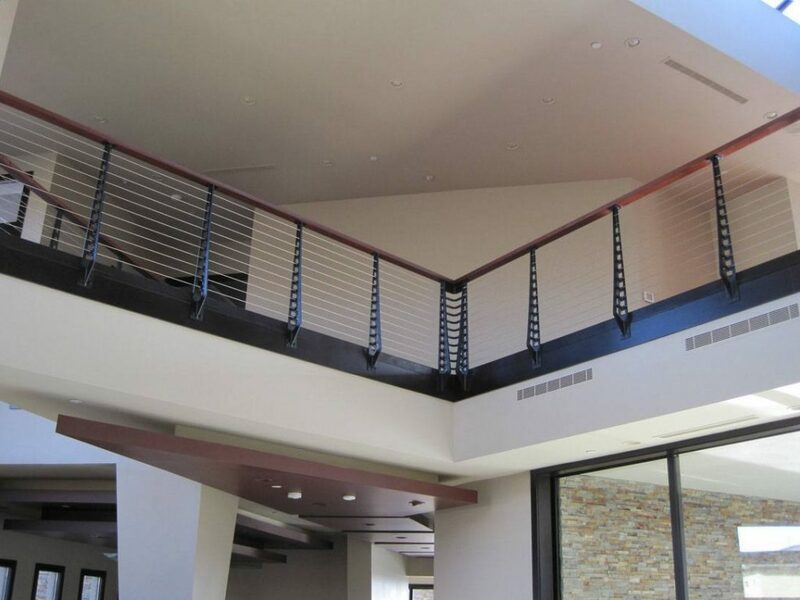 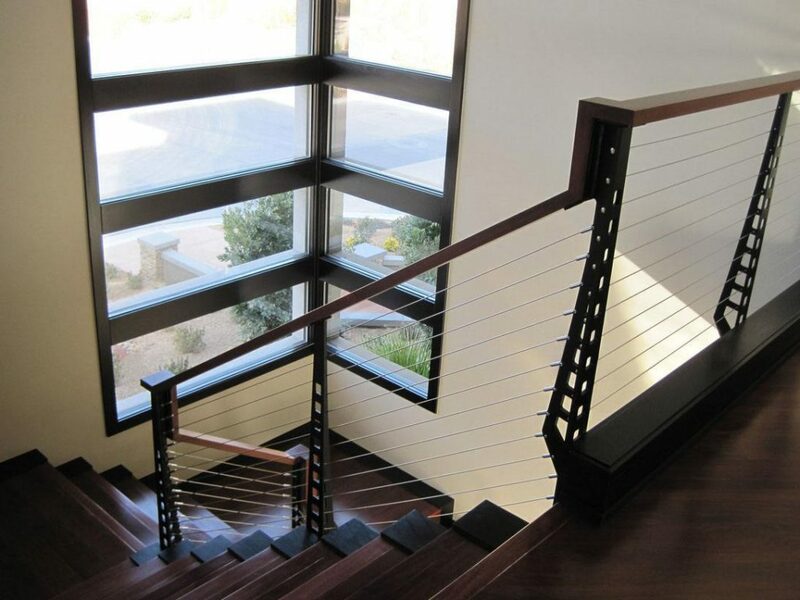 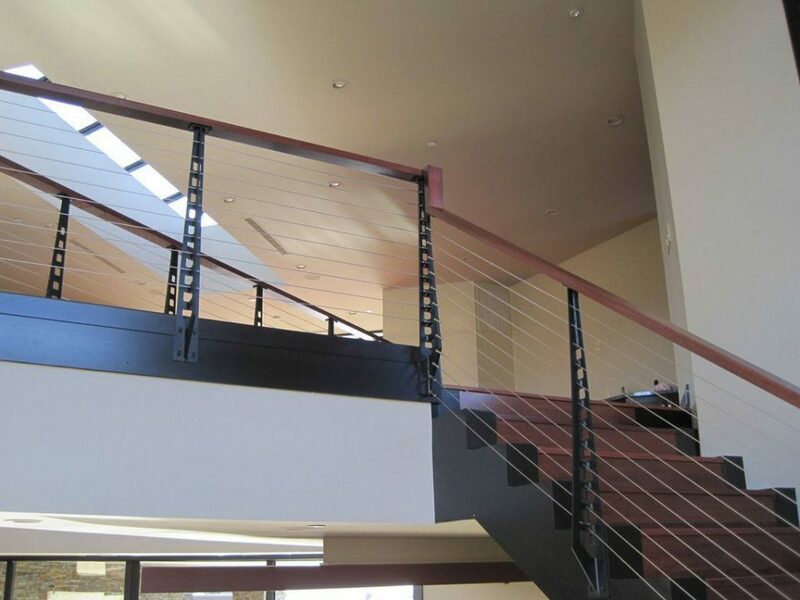 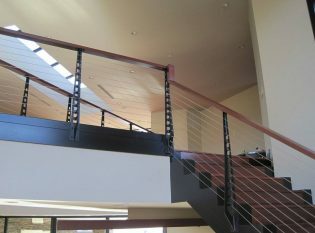 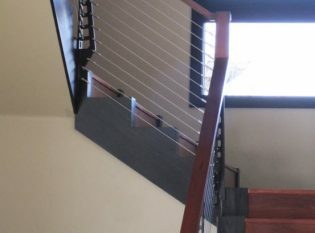 Keuka Studios fabricated this indoor railing system with black powder-coated steel posts and a wood top rail.